The biggest football tournament in the world is upon us and starting from today, millions of people around the world will be glued to their screens, cheering for their favorite teams, till one of them takes the 2018 FIFA World Cup home. The month long tournament will be filled with exciting displays of sportsmanship and I, for one, am not going to miss even a moment of it all. 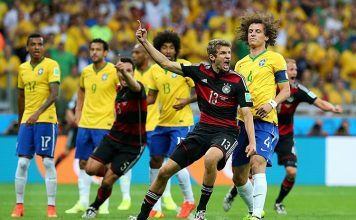 Sony Pictures Network India (SPN) has acquired the media rights for this year’s FIFA World Cup in India and has chalked out an exhaustive telecast plan for all football fans in the country. 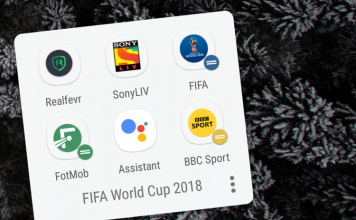 Since Sony has the exclusive broadcasting rights, the FIFA World Cup matches will be broadcasted on the company’s OTT platform SonyLIV. The matches will be broadcasted in four languages – English, Hindi, Bengali, and Malayalam – and will be supplemented with relevant telecast data, including live scores, player positions, team previews, match stats and other interactive experiences to keep you engaged. 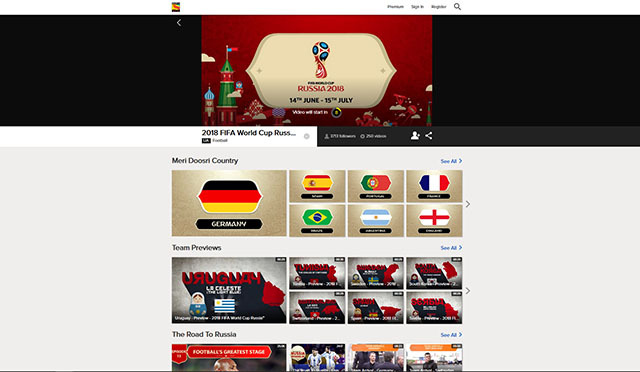 On desktop, you can visit the SonyLIV website and catch all the matches, follow your favorite team for real time updates, stay updated on all tournament updates, and get behind the scene updates on the journey to the World Cup. You’ll also be able to watch the matches live on your iOS and Android devices by downloading the SonyLIV app. The app will also feature all the extras we mentioned earlier, along with an interactive experience which will allow you to make predictions about the game’s outcome and win attractive prizes or get your name broadcasted on TV as the Master Predictor. While watching the World Cup on SonyLIV is absolutely free, there will be a 5 minute delay in the stream and you’ll also have to bear with a lot of ads. In case you want and ad-free live stream, you’ll have to purchase a premium SonyLIV subscription. Premium subscription is available for as low as Rs. 99 for a month, but if you wish to watch more live sports, you can get the new Super Sports 6 month subscription for just Rs. 199. If you’re an Airtel subscriber, you’ll be able to watch the 2018 FIFA World Cup live on your smartphone on the Airtel TV app. As mentioned earlier, since Sony has the exclusive rights to telecast the World Cup in India, you’ll have to select Sony TEN channels within the app to watch the matches live. 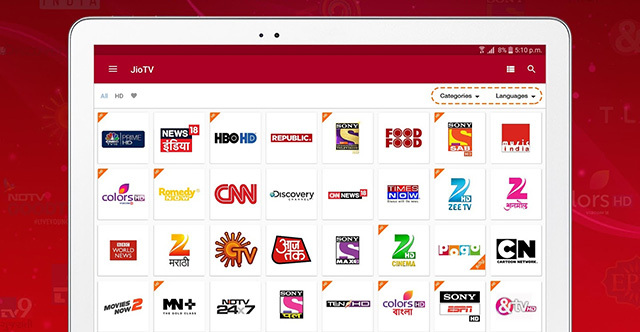 In order to do so, you’ll first have to download the Airtel TV app on your device (duh!). Once you complete the registration process, you’ll have to select the Live TV option in the bottom right corner of the app and navigate to one of the Sony TEN channels. The live stream will begin as soon as you click on the channel. Note: You’ll only be able to access the stream if you have an Airtel SIM installed on your smartphone and it’s selected as the primary SIM card for mobile data. 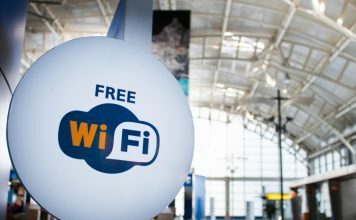 If you’re a Jio subscriber, you’ll also be able to watch the 2018 FIFA World Cup live, provided you have Jio Prime membership and access to the JioTV service. 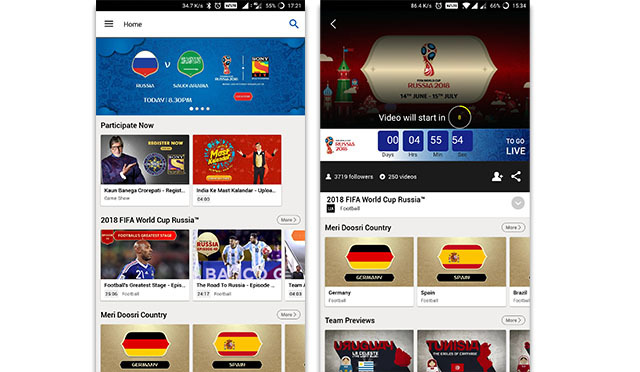 In order to watch the World Cup live using the JioTV app, you’ll have to log into your Jio account on the JioTV app and search for the Sony TEN channels to watch the matches live. The Sony TEN channels have been listed under the sports category on the app, so you’d be better off selecting a filter, as it could get a bit annoying scrolling through all the 603 channels to get to the one you want. Once you locate the Sony TEN channel of your choice, the next step is pretty straightforward. Just tap on the channel icon and your live stream will start immediately. 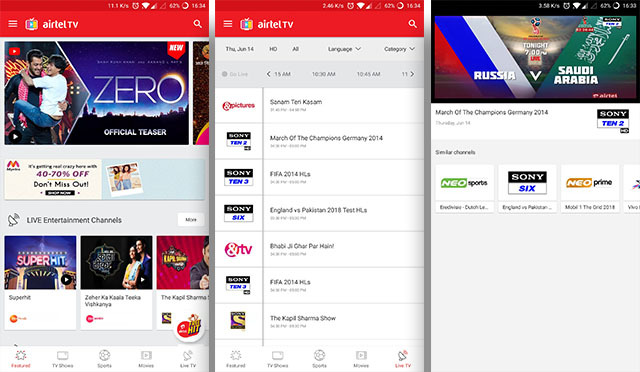 Unlike the Airtel TV app, the JioTV app doesn’t require you to have a Jio SIM installed on your smartphone. You just need your Jio account credentials and you’re good to go. 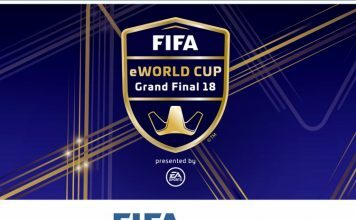 In case you don’t want to bother yourself with downloading an app or don’t really have the bandwidth to stream the entire tournament online, you can also watch the entire tournament on TV. 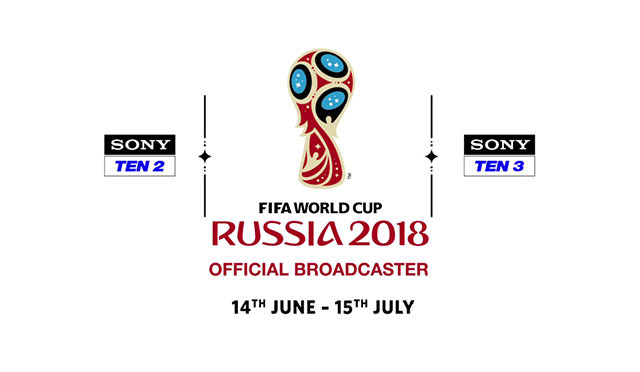 The 2018 FIFA World Cup will be broadcasted live on Sony TEN 2 with English commentary and Sony TEN 3 with Hindi commentary. In case you already have access to the aforementioned channels, you’re good to go. But if you don’t you’ll have to contact your respective cable service provider and subscribe to the channels in order to watch the live broadcast on TV. Now that you know how to watch the 2018 FIFA World Cup live, what are you waiting for? Check out the match schedule, make yourself some popcorn and use one of the aforementioned ways to get right into the game. Make sure you don’t miss out on the action and do let us know which team you’re rooting for in the comments section down below.